Star Wars 1313 May Be Arriving For Current Gen Systems? Contrary to popular belief, LucasArts’ Star Wars 1313 just may see the light of day on current systems. 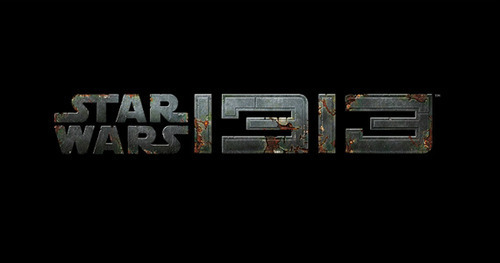 Photos and the words: “Star Wars 1313 erscheint 2013 für PlayStation 3” which roughly translates to: “Star Wars 1313 releases in 2013 for Playstation 3”, were spotted on the German PlayStation Facebook page. Since information surrounding Star Wars 1313 is relatively unknown, a lot of people speculated that a release wouldn’t happen until the next generation consoles were released. Yet here we are with details proving otherwise. It could also be that the source mistyped the sentence or that the title could on both new and old consoles. When it comes down to it, we don’t know if this information is false or true. Personally, I feel like the game could come out for this generation because the trailers I’ve seen haven’t completely blown me away. Watch the trailer again and let us know what your thoughts are.